The aim of our teaching and training is to deliver ‘education for life’. We are passionate about our students’ success both in their careers and their everyday lives. 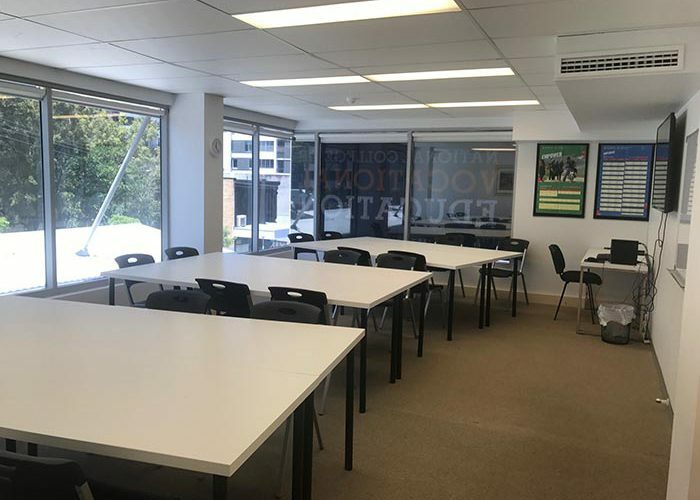 Our Brisbane campus is conveniently located in South Brisbane, right between South Bank, our city’s premier lifestyle and cultural destination, and the wonderfully quirky suburb of West End. Positioned right on the banks of the Brisbane River, South Bank presents a diverse mix of entertainment, recreation and leisure activities 365 days a year. It features 17 hectares of parklands, including an inner city beach and swimming pool, splash pool and water play spaces. It’s a social hub where people come together to enjoy cultural and outdoor activities and events, as well as the many restaurants, cafés and bars on offer. 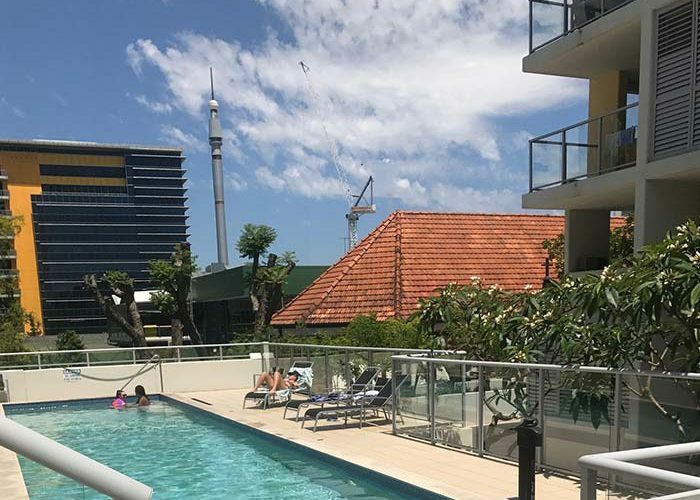 It’s a very popular destination for locals and visitors and is home to the Queensland Art Gallery and Gallery of Modern Art, museums, the Queensland Performing Arts Centre and the Wheel of Brisbane. Find out more about South Bank. West End is a charming suburb known for its lively lifestyle, delightful mix of cultures and alternative and vintage vibe. On weekends West End hosts some of Brisbane’s best markets, where aspiring designers peddle their wares among organic grocers, cosy bars, restaurants and coffee houses, alongside great music venues and boutiques. Discover more of what West End has to offer. 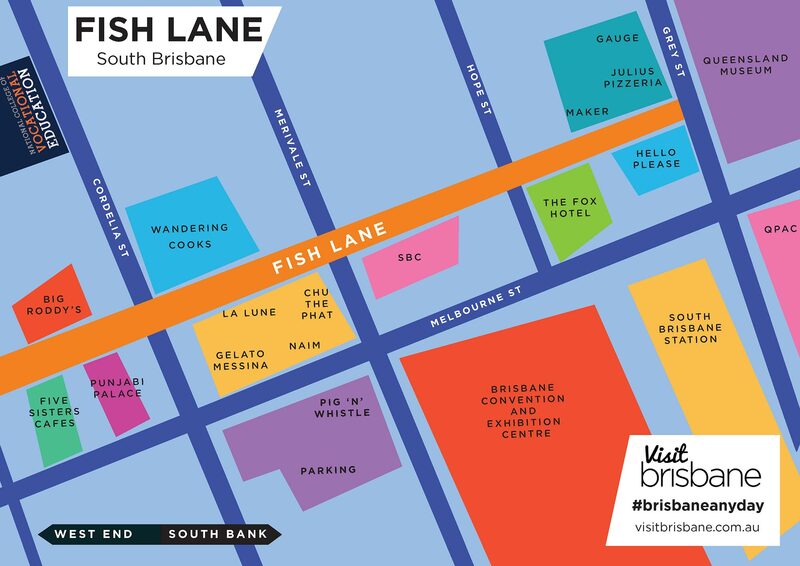 Fast becoming Brisbane’s coolest laneway, Fish Lane is on the doorstep of our Brisbane campus. It’s an area steeped in history and was once known as Soda Water Lane, thanks to the Eudone Aerated Water Company that had its factory there in the 1870s. These days it is home to an enchanting collection of restaurants, cafes and bars, and makes the journey from South Bank to West End an adventure in itself. Check out Visit Brisbane’s guide to exploring Fish Lane. Our modern, air-conditioned and purpose-built classrooms contain state-of-the-art audio-visual equipment and ample space to ensure a comfortable, safe and welcoming learning environment. Our resource centre is a quiet study zone for students. It features an extensive library of books, videos, DVDs, magazines and textbooks – all of which are available for short-term loan. 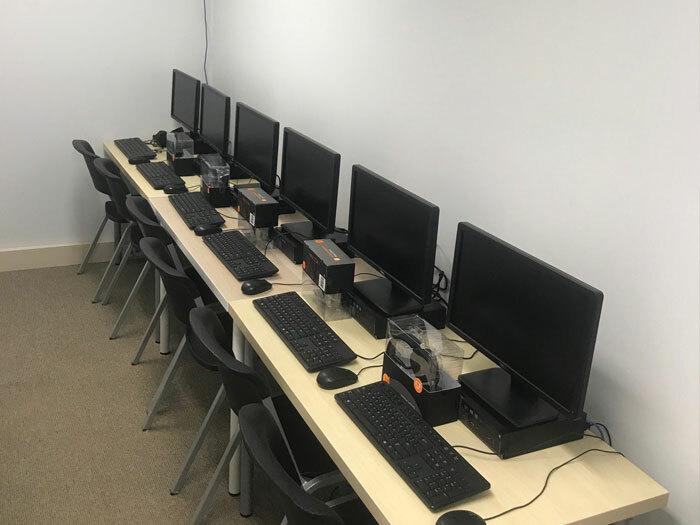 We have a dedicated student computer lab and a number of student PCs located across our campus. Students can also make use of our FREE internet access and FREE WiFi while on campus. Our onsite swimming pool is available for use by students during breaks and after class, between 8 am and 7 pm weekdays. It’s a great place to relax and cool off or swim some laps. The pool is situated next to the courtyard. Our lunch room, with fully-equipped kitchenette, including microwaves, a refrigerator and coffee-making facilities, makes lunch times easy. 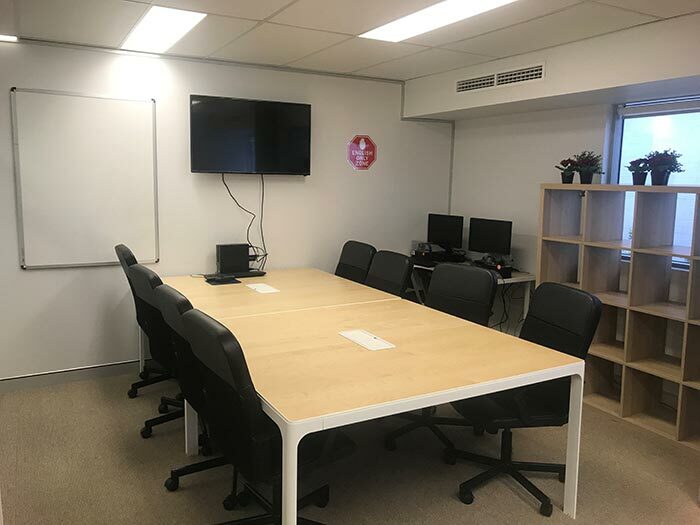 We also have vending machines on site, and comfortable breakout areas and an outdoor courtyard with seating for students to sit, eat, chat and relax during breaks. We offer students a range of opportunities to get social with friends, both new and old, through NCVE Social, our social calendar. 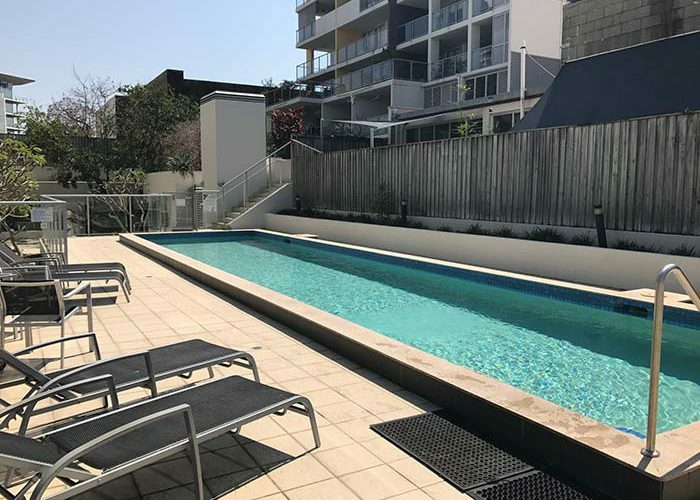 We host BBQs by the pool, visits to local markets and Lone Pine Koala Sanctuary, cultural centre days and shows, bike rides around Brisbane, walk and talk groups, weekly NCVE Chatsessions, and abseiling and rock climbing activities at Kangaroo Point. We also organise day trips and weekends away to local tourist destinations including the Gold Coast, including its theme parks, Currumbin Valley, Mt Tamborine, Springbrook National Park, Noosa, the Sunshine Coast Hinterland, Moreton Island and Fraser Island. Here’s an example of our NCVE Social Events Calendar. All students are issued with a student card which entitles them to discounts at participating local shops and discounted tickets at participating cinemas. Our regular information sessions and career days help students who want to proceed with further study in Australia via our pathways programs. We also provide individual career counselling to students looking to continue with further study. Student visa holders may be eligible to work part-time, for up to 20 hours per week, while studying in Australia. 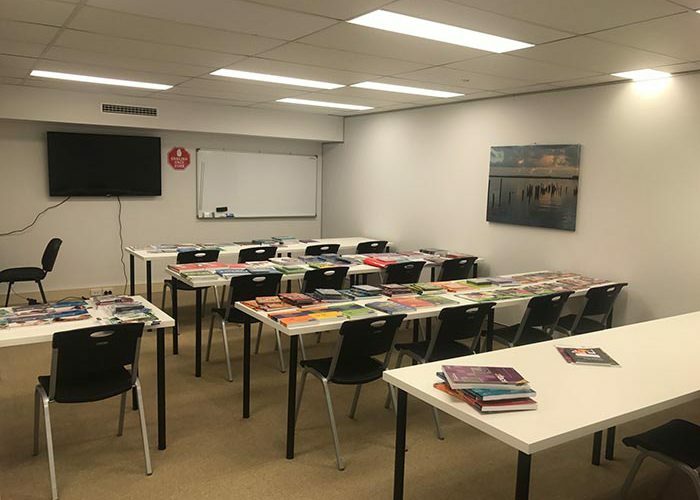 Our Job Preparation sessions assist students to prepare a resume, search for jobs, prepare for an interview, apply for a Tax File Number, apply for jobs and find suitable employment. We can accept deliveries for students at our Brisbane campus. Please speak with our Reception staff to find out more. Take a virtual tour around our Brisbane campus!